Professor Andrew Stock brings over 40 years experience in senior management and executive roles in energy businesses, spanning traditional energy suppliers and emerging energy technologies and renewables. He is a present and past Director of numerous energy companies, a Board Member of the Clean Energy Finance Corporation, and Chair of resources and energy Institute Advisory Boards at the University of Adelaide and University of Melbourne. 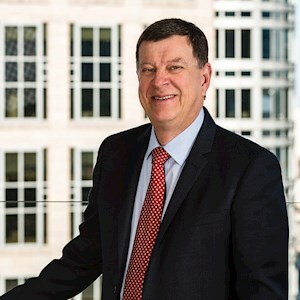 He was the founding National President of the Australian Business Council for Sustainable Energy (now Clean Energy Council) and has served on CSIRO's Energy & Transport Sector Advisory Committee as well as other research and energy advisory committees to the South Australian Government. With an honours Chemical Engineering Degree from the University of Adelaide, he has completed postgraduate courses at IMD, Switzerland, and the University of Western Australia. He is a Fellow of the Institution of Engineers Australia, and a Graduate Member of the Australian Institute of Company Directors.